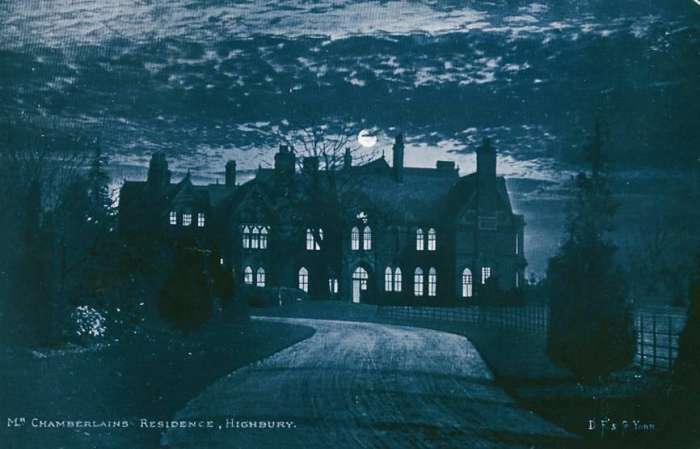 Highbury, home to Joseph Chamberlain from 1879 to 1914, was one of the first houses in Birmingham to be lit by electric light in the late 19th century. Highbury, at night, would have been a beacon of light in a city where homes were lit by gas, paraffin and candle light. Highbury at night viewed from the, now lost, grand entrance driveway that ran parallel to Yew Tree Road. Highbury appears to have had its own mini power station, because there was no mains electricity available at the time in the city, and this appears to have been located over the road in the stable block. There would have been a gas engine; this is like a cross between a steam engine and an internal combustion engine, with the fuel for the engine being town gas. The engine would have driven a flywheel with a leather belt running on it that drove a wheel on a shaft in the eaves of the stables above the engine. This shaft then carried on through a wall into another room, where another wheel was located and a leather belt from this wheel drove a dynamo below it. 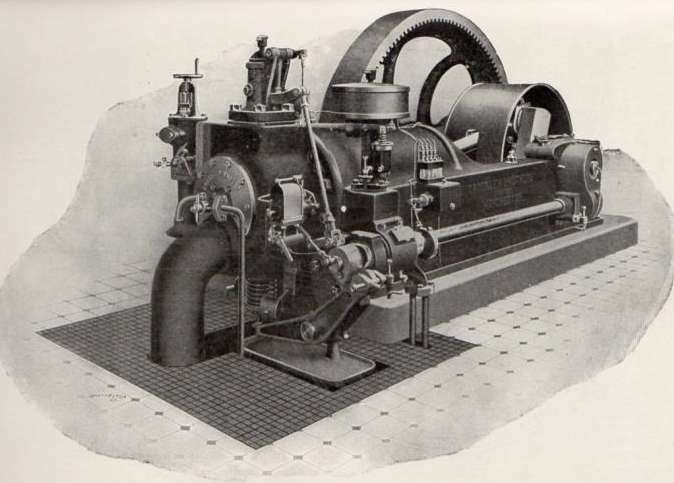 The dynamo would have produced direct current (DC) voltage that would have flowed to Highbury through wires, either above ground on poles or buried underground. There may well have been batteries that were charged by the dynamo when operating, these batteries could have powered the lights at Highbury when the gas engine was not operating in the early hours of the morning when little or no lighting was required in the house. A gas engine from the late Victorian period, this type of engine could well have been used in the Highbury stable block. 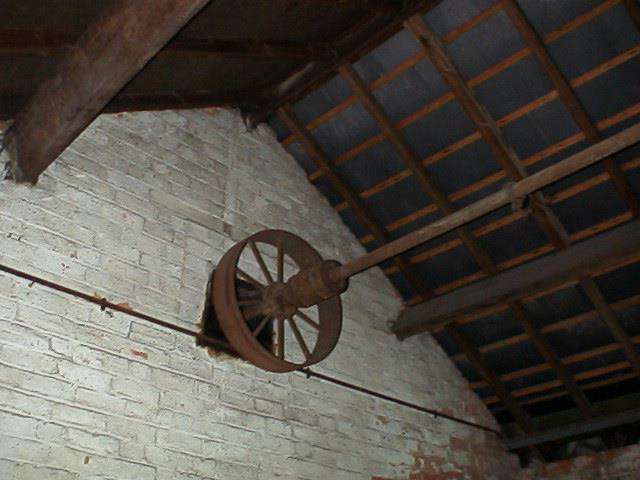 Surviving drive shaft and wheel in the eaves of the stable block at Highbury, picture taken in 1998. Could the view of Highbury, built in a Venetian Gothic style, lit at night by electric lights have inspired a young J R R Tolkien, who lived in Westfield Road in 1901, in part of his later vision of Middle-earth?